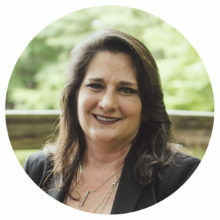 Rene brings over a decade of experience operating her own construction subcontracting business, allowing her to specialize in a full spectrum of insurance needs for the manufacturing, janitorial and construction industries. Joining the Norton Metro team in 2013 as a Commercial Agent, she understands that many clients don’t have the manpower to manage their insurance needs, therefore, she works diligently to inform, protect, and provide the best coverage possible for their growing businesses. In addition to holding an accounting degree, Rene continues to work towards her prestigious Certified Insurance Counselor designation through National Alliance. She frequently volunteers with the Girls and Boy Scouts, the Humane Society, Make a Wish Foundation, and Relay for Life.